Yesterday Emmylou and I went to a music class! She got to play with a drum, bells and maracas, and even though she mostly just tried to eat them, I still think she may have music in her future. 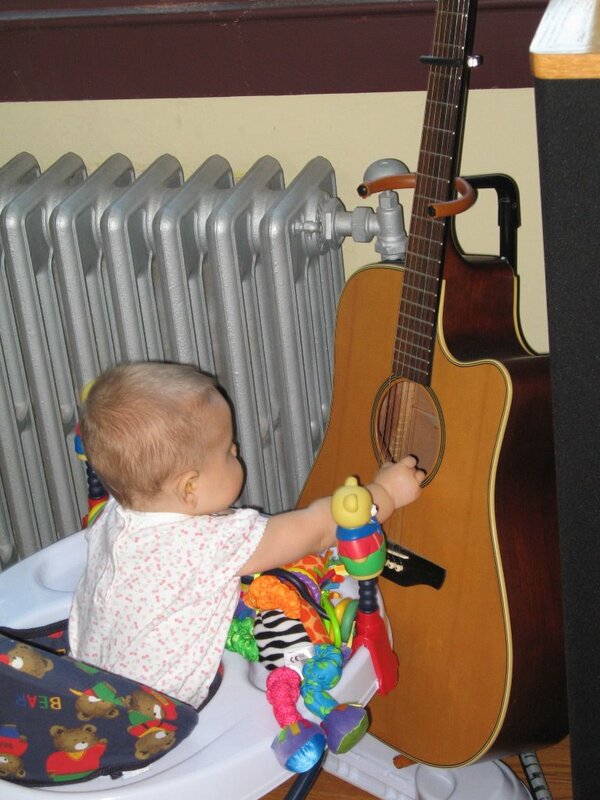 When we're at home, no matter where we set her down in her walker, she always eventually makes it over to my guitar and strums the strings. 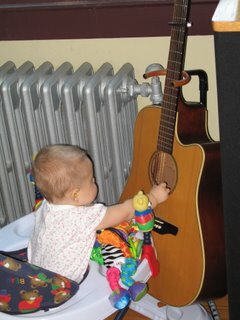 Maybe one day she'll take after another Emmylou!